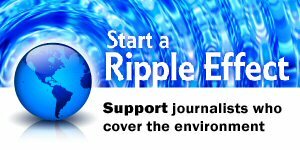 The Society of Environmental Journalists strengthens news coverage of environmental issues by empowering the journalists who report that news. membership categories, eligibility and dues. What can the Society of Environmental Journalists do for you? ACTIVE: Individuals primarily engaged in the gathering, reporting, writing, editing, photographing, producing or cartooning of news for dissemination by regularly published, general circulation newspapers, magazines, and newsletters, as well as radio and television stations and networks, online media, books, news services and other media available to the general public. Neither Active Members nor their employers shall engage in lobbying or public relations work relating to environmental issues. ACADEMIC: An individual is eligible to be an Academic Member if he or she is on the full-time faculty or is a student at an accredited college, university or other school and has an interest in environmental issues. Part-time faculty may qualify if they meet other criteria. Academic Members shall not engage in lobbying or public relations work relating to environmental issues. ASSOCIATE: Individuals substantially engaged in journalism or who work in fields that closely relate to journalism yet are ineligible for active membership, either because journalism is not the primary occupation or because the applicant's employer lobbies or conducts public relations work relating to environmental issues, and, in the majority opinion of the Board of Directors or its designee(s), will contribute to the attainment of the objectives of the Society. Associate Members shall not engage in lobbying or public relations work relating to environmental issues. 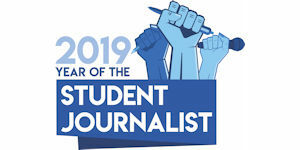 SEJ membership is open to journalists, and students and faculty at an accredited school or university. Those whose professional work includes public relations on environmental issues, or lobbying for environmental issues, are not eligible for membership in SEJ. For more information about eligibility, see SEJ's Bylaws and Membership Policies. NEW! Discounts for members!! SEJ has teamed up with trusted retailers to offer you discounted products, subscriptions and access to software that we think you’ll find useful in your work. Log in here to access discounts on gear like The North Face, Black Diamond and Arc’Teryx, LexisNexis, Scrivener, Rite-as-Rain notebooks, Hindenburg Multitrack Audio Editor and much more.